« The Impossibility of Death. Want to Evolve? Put Down the Coffee, and Sleep. Today we ask that you not let yourselves get run down into states of depletion. If people weren’t depleted, there would be far less physical and mental illness in your world. There would also be far less violence and aggression. In your reality, there is a bizarre resistance around the concept of resting. If humans weren’t supposed to rest, they would not be born with the instinctive need to sleep. If you observe animals, you will see that they spend a great deal of time at rest. This holds true even for “industrious” insects. All life forms, even at the most basic levels of single-cellular life, move through regular cycles of activity, and rest. And yet somehow humans, in their infinite wisdom, think they should be exempt from this rule. It is crazy for people to believe they can maintain mental and physical health if they do not have adequate rest and sleep. Even your children these days are overstimulated, and not receiving enough rest. This is one of the primary causes of the behavior you refer to as “Attention Deficit Disorder.” ADD is very often a disorder related to a lack of sufficient rest, and sleep. Lying in bed is not enough. If you are extremely stressed and anxious, your sleep will not be restful. 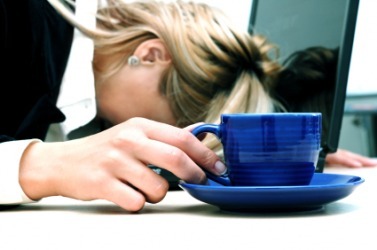 You will awaken exhausted, and use caffeine and stimulants to push yourself through another day. Historically, the only humans who were expected to constantly work and be active were slaves. Slaves did not have long lifespans. Even hard-working farmers in the pre-modern era knew how to sleep. “Early to bed, early to rise” means early to bed. Farmers didn’t go to bed late, and get up early. But modern humans engage in constant activity. They go to bed late, and rise early. They immediately check email and Facebook. All day they run about, stimulating their nervous systems constantly, even if they are physically sedentary and sitting in front of computer screens. They come home from work, and sit in front of the TV and computer until they go to bed late. Even if they go to the gym to exercise their bodies, they are staring at TV screens and phones. This is not good for anyone! If you suffer from insomnia, fatigue, anxiety, depression, headaches, or other stress-related symptoms, it is absolutely imperative that you learn to tear yourself away from your electronic devices, and properly rest and relax. If humans gave themselves a true one day a week “sabbath” away from all electronic devices, there would be an immediate and noticeable improvement in overall health. Learn how to rest. Learn how to sleep. Learn how to simply be inside your own body again. Go for a walk. Garden. Be around small children, or animals. Turn off the electronic devices. Notice how exhausted you feel. Instead of fighting the fatigue with caffeine, allow yourself to actually feel how exhausted you are. Most of you would benefit enormously from one night in which you let yourself sleep for nine hours or more. Your bodies are aching for this. Instead of watching TV, go to bed early one night. Rest. Sleep. This is a message we often repeat, because we cannot overstate its importance. It is virtually impossible to tap into higher states of consciousness, awareness, and true health if you are physically depleted. Depletion is thus slowing the process of human evolution. If you wish to speed up your own evolutionary process, it is essential that you let yourself rest. You must build up your reserves of energy. That way, you will be equipped to not only help yourself, but others.